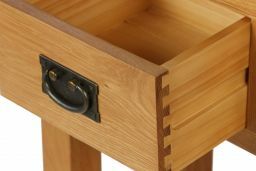 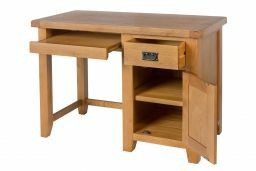 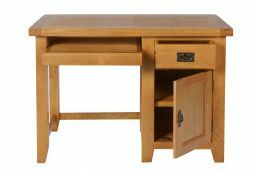 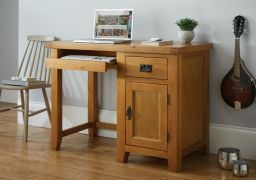 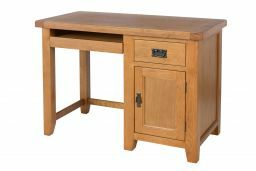 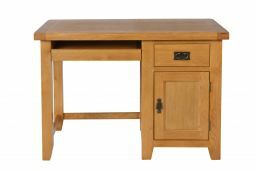 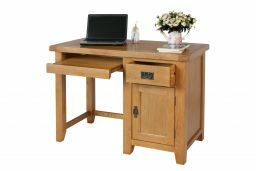 Country Oak Single Pedestal Computer Desk. 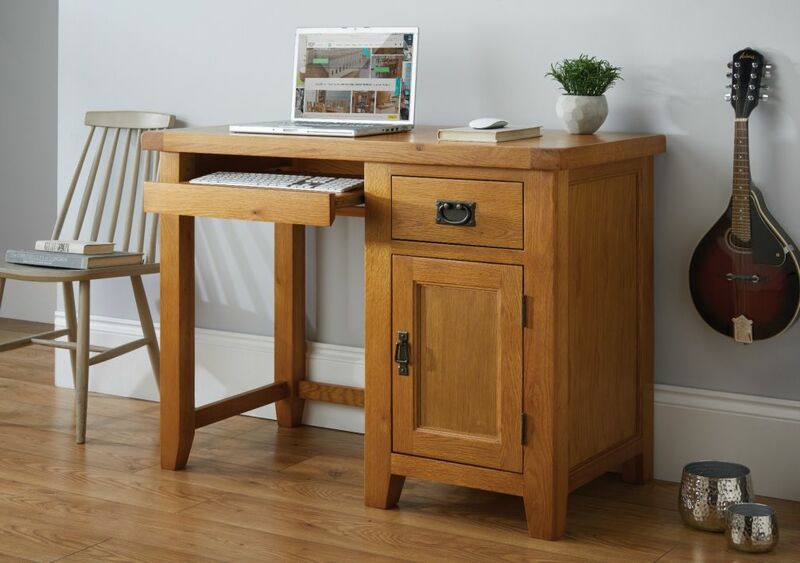 Brand new for Autumn 2018 this oak computer desk offers the perfect solution for setting up a home office. 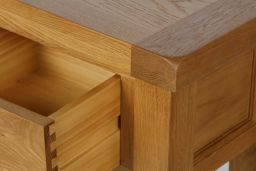 The cupboard to the right has a removable shelf that can be used for storing a computer tower if required. 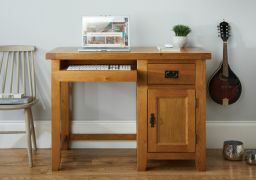 The pull out tray tidily stores a keyboard.